Stunning, 5 bed, 4 bath 2-story in Meadow Walk Subdivision! Absolutely nothing to do but move in. 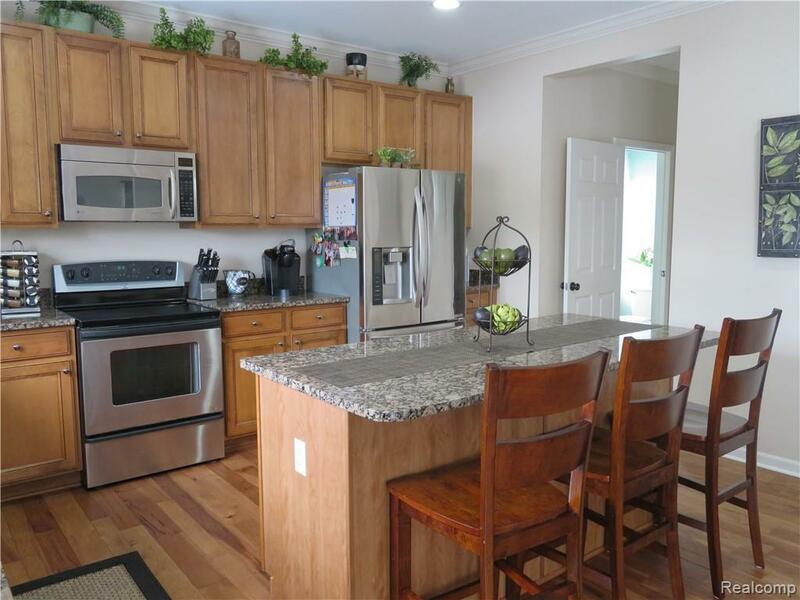 Well-lit, neutral open floor plan w/many custom upgrades from top to bottom. Main floor features crown molding, recessed lighting and newer hardwood floors. 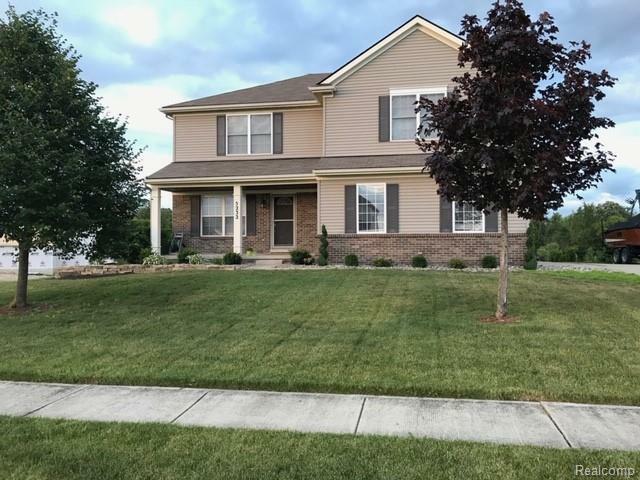 Wide foyer leads to den/office, spacious fire-lit living room and fabulous dream kitchen w/granite counter tops, breakfast bar/ Island and huge walk-in pantry. Spindled staircase leads to 2nd fl. 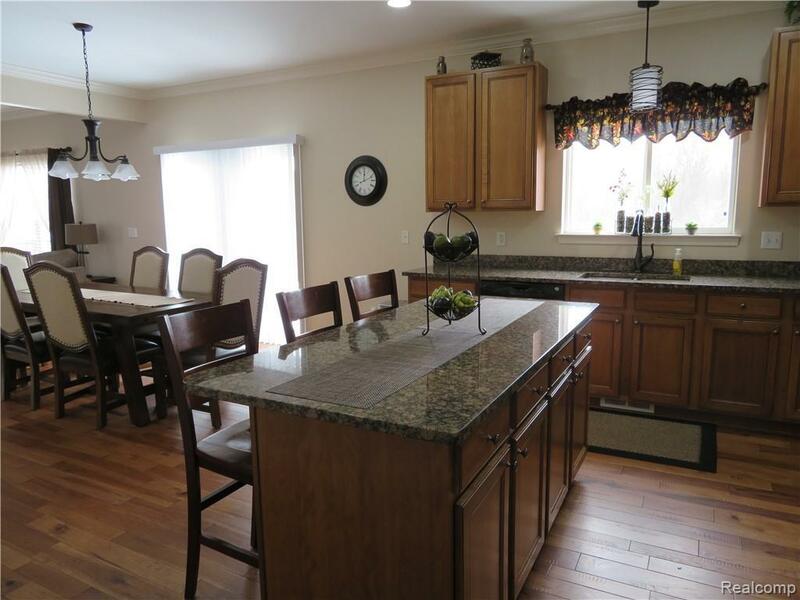 w/huge family room, master bedroom and master bath featuring dbl sinks, tiled floors, whirlpool tub and 3 add. spacious bedrooms w/ample closet space. 2nd fl. laundry. Finished lower level walkout - perfect for entertaining, guests and or in law apartment w/2nd kitchen, stainless steel appliances, rec room, full bath and additional 5th bed w/egress window plus sliding glass doors leading to stamp concrete patio. 2-car garage w/added parking. 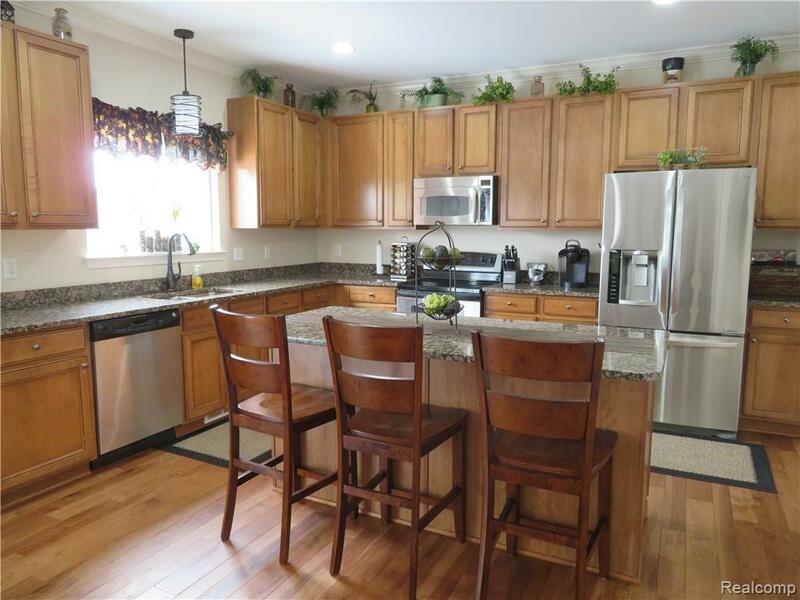 Nicely landscaped, fenced back yard w/deck overlooking pond, open space and nature. A must see! IDX provided courtesy of Realcomp II Ltd., via Re/Max Plus and Realcomp, ©2019 Realcomp II Ltd. Shareholders.